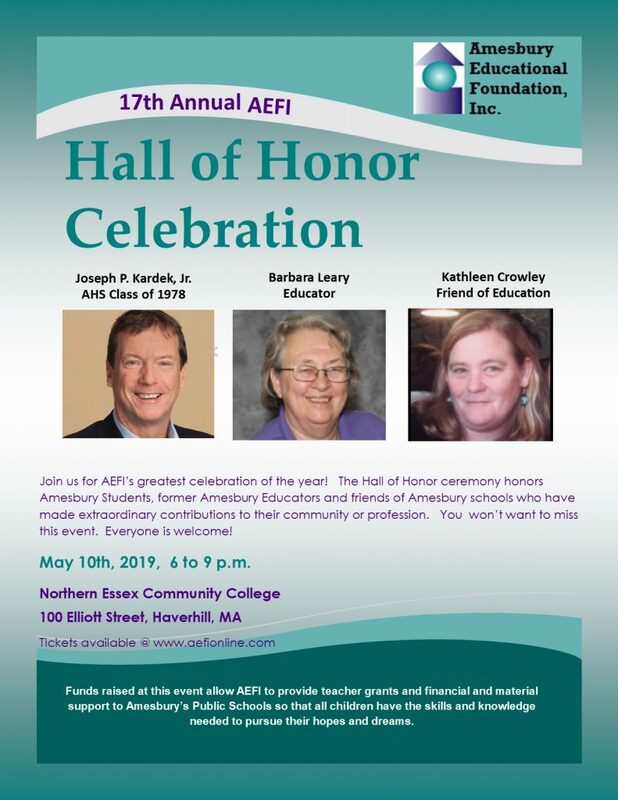 17th Annual Hall of Honor | Amesbury Educational Foundation, Inc.
Join us in an evening of celebration for Joseph P. Kardek, Jr., Barbara Leary, and Kathleen Crowley at the 17th Annual AEFI Hall of Honor Celebration! Visit our Donations Center to contribute to your favorite AEFI programs. We thank you for your generosity and commitment to public education in Amesbury! © 2019 Amesbury Educational Foundation, Inc.